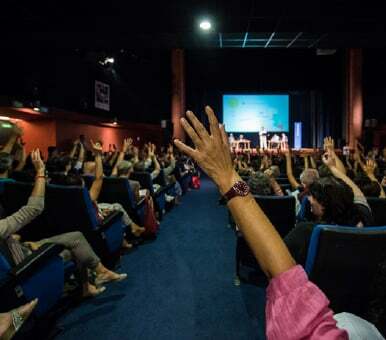 The Festival plays host to world-famous writers and poets, some of the most interesting voices from emerging literatures, essayists, musicians, artists and scientists who foster a more complex and unusual notion of literature that includes unconventional literary domains and languages. 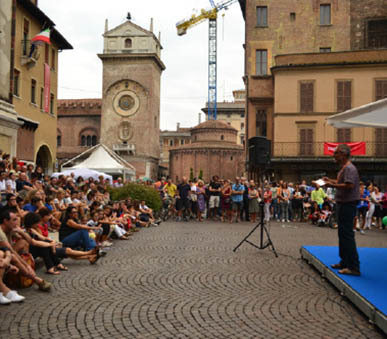 Festivaletteratura pays special attention to young people: many of the events, performances and workshops across the five days are especially devised for youngsters, or to be enjoyed by young and old alike. 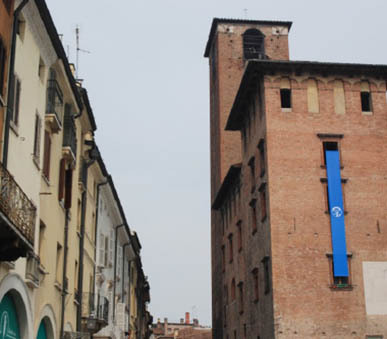 Everything takes place in Mantua, a World Heritage Site and veritable gem of the Renaissance. Not only does the compact size of the city bring authors and readers together, it also means that everyone can easily get from one event to another on foot. Starting off as a grass roots initiative on the part of local citizens who wanted to share their idea with the rest of the city – inspired by some well-established examples across Europe, especially in the British Isles – the Festival quickly became a Mantuan institution, as proven by the support shown by local businesses who sponsor events, the incredible number of volunteers and the help and collaboration of local individuals and associations. 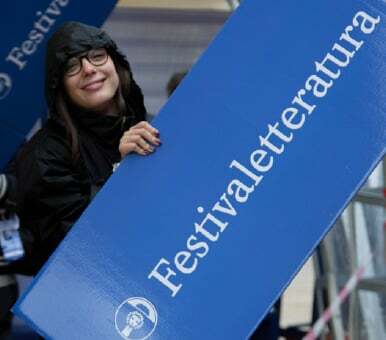 With the archive of materials from the past nineteen years at its disposal, Festivaletteratura keeps innovating and serving as a point of reference for Italian and foreign authors, as well as for the volunteers of all ages who embody the event’s vibrant nature. This is equally true for the cultural institutions, libraries and reading groups who offer their invaluable support in the creation of projects and activities that help keep the Festival spirit going all-year-round. These eight locals, from a variety of different backgrounds, came together in 1997 and formed an Organizing Committee that led to the creation of the Festival. The Organizing Committee has curated the Festival programme from the very first edition up until the present day, setting out its promotion and organization. 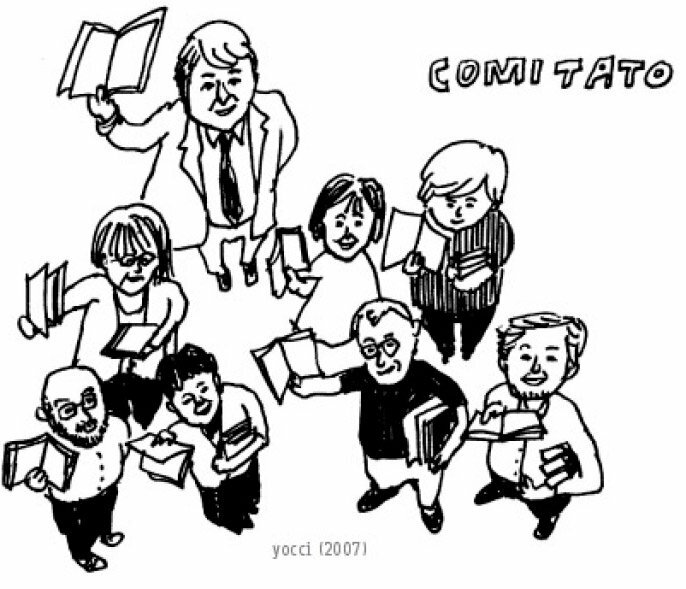 The Committee is a non-profit organization and each member works on a voluntary basis. 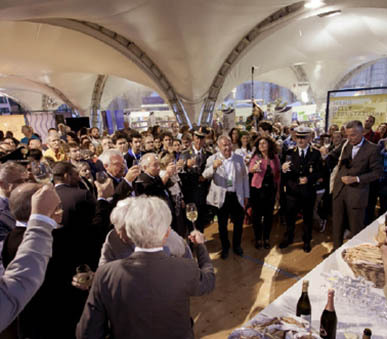 Volunteers are the heart and soul of Festivaletteratura. 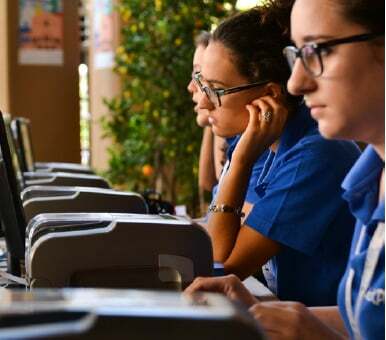 Since the first edition back in 1997, hundreds of people - mainly youngsters - have come from all over Italy to play their part in this five-day event. 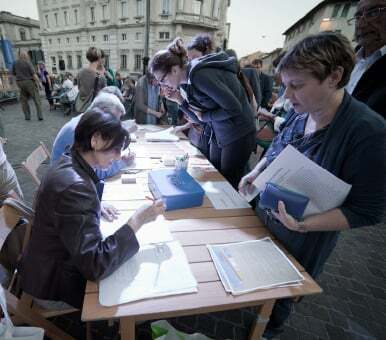 Volunteering at Festivaletteratura means putting yourself forward and rising to the many different challenges that can arise during the course of the Festival. 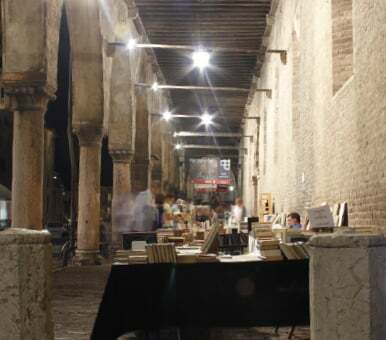 Back in 1996, on the eve of the first Festivaletteratura, a group of locals, united by a common desire, worked together with the Organizing Committee to bring their collective dream to fruition: organizing a bona fide celebration that brings together writers and readers across the city’s piazzas and palaces. That’s how Associazione Filofestival came to be. A non-profit and voluntary association aimed at promoting and supporting Festivaletteratura and its activities. 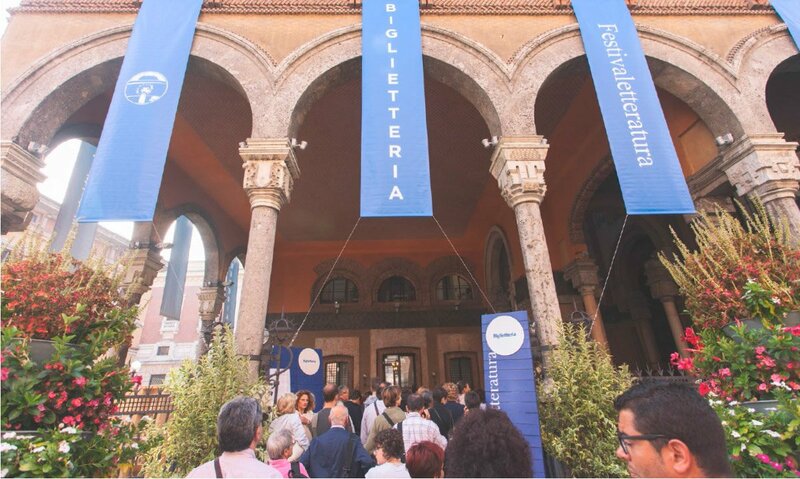 When Festivaletteratura draws to a close, the work of Filofestival goes on and includes the organization of promotional campaigns, conference organization, encounters with authors, concerts and literary events throughout Italy. Members are encouraged to play an active part in Filofestival activities throughout the year.